We provide aeration and de-thatching services to improve the health and appearance of your turf. The process of aeration removes small cores of thatch and dirt from your turf. It helps with reducing compaction in your turf, and it helps to reduce thatch. Thatch is reduced by the increase of microbial activity that is the result of increased air flow within the root zone of your grass. Those microbes are what break down the thatch. We recommend that you aerate your turf annually. 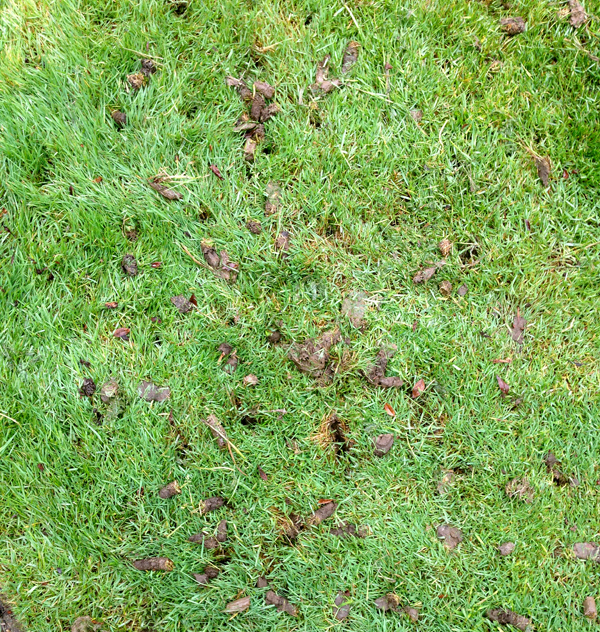 After aeration is also a very effective time to overseed your lawn. De-thatching is an extreme measure used on turf when the layer of thatch gets so thick that aeration alone does not have enough impact. The de-thatching machine basically power rakes the lawn to thin out the weak and matted turf and roots. After the turf is thinned by de-thatching, the rhizomes are stimulated and new growth starts immediately. De-thatching is usually followed by a fertilizer application to insure that the turf has the nutrients it needs to sustain the vigorous growth that lies ahead.  We offer a free consultation to determine what is best for your specific turf situation. 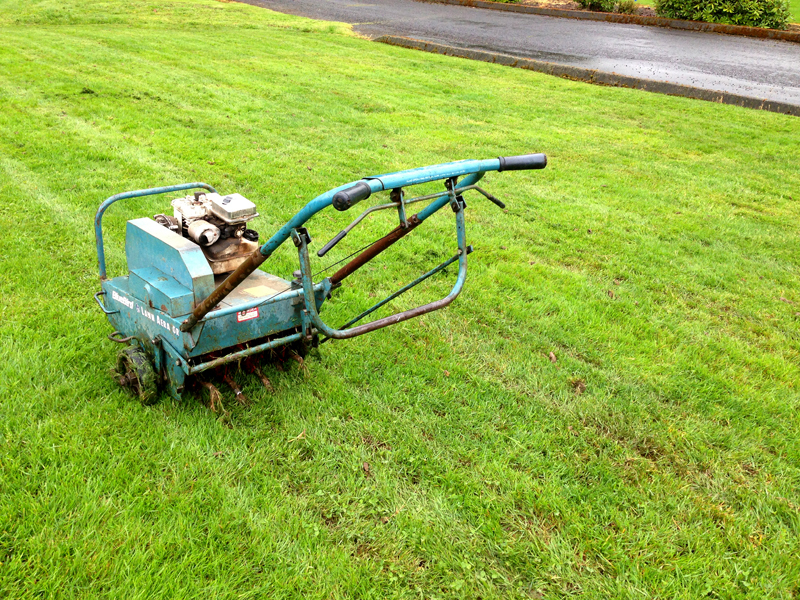 We recommend that aeration normally be done annually. De-thatching is only recommended in extreme cases, usually in one in twenty lawns that we look at. Let us take a look.